Is Bannon becoming the Bernie of Breitbart? Steve Bannon has kept a pretty low profile for the last few months. After being described as the puppeteer behind Trump’s administration in a few articles early on, we’ve heard little about the man and what he’s doing. In recent days, however, two articles by The Intercept have described recent Bannon pushes. And they’re not exactly what you’d expect. The first piece, published yesterday, described an increased marginal tax rate for the rich. Anonymous sources said that Bannon has been advocating for a 44% marginal tax rate for people who make over $5 million, compared to the 39.6% one in place now for the top tier. In essence, he’s pushing for greater taxation on the rich, which doesn’t sound that Trumpian. Don’t get me wrong: Bannon is still Bannon. For example, he had reportedly been lobbying for Trump to take the action he did yesterday on transgender people in the military. He’s also still the man that made Breitbart what it is today, which today published an article that put Earth emojis around the name of Trump chief economic advisor Gary Cohn. 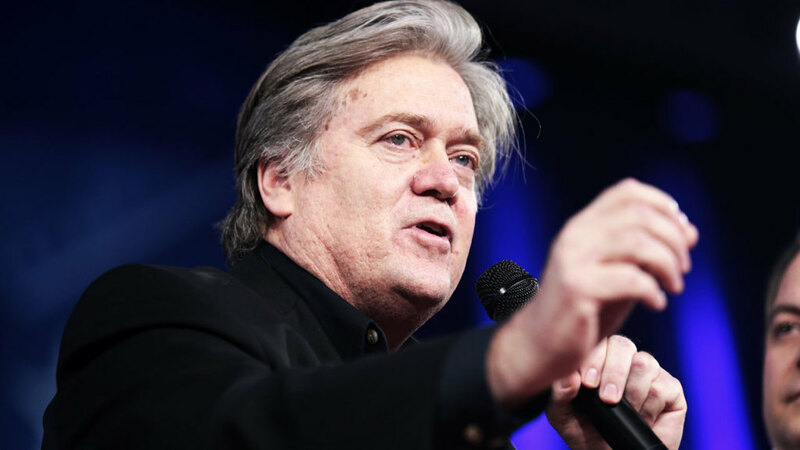 Yet Bannon’s recent pushes, if proven, show that he’s gunning for something that is definitely not within the confines of the traditional Republican party. And they’re also both pushes that someone like Bernie Sanders would probably endorse.